Posted on August 31, 2017, in Photography and tagged 365 photo project, black and white photography, CASP, learning to see, Leica, lubbock, lubbock texas, melinda green harvey, monochrome, one day one image, photo a day, photography, postaday, thoughtful seeing. Bookmark the permalink. 5 Comments. Yes. It’s a very powerful sign. 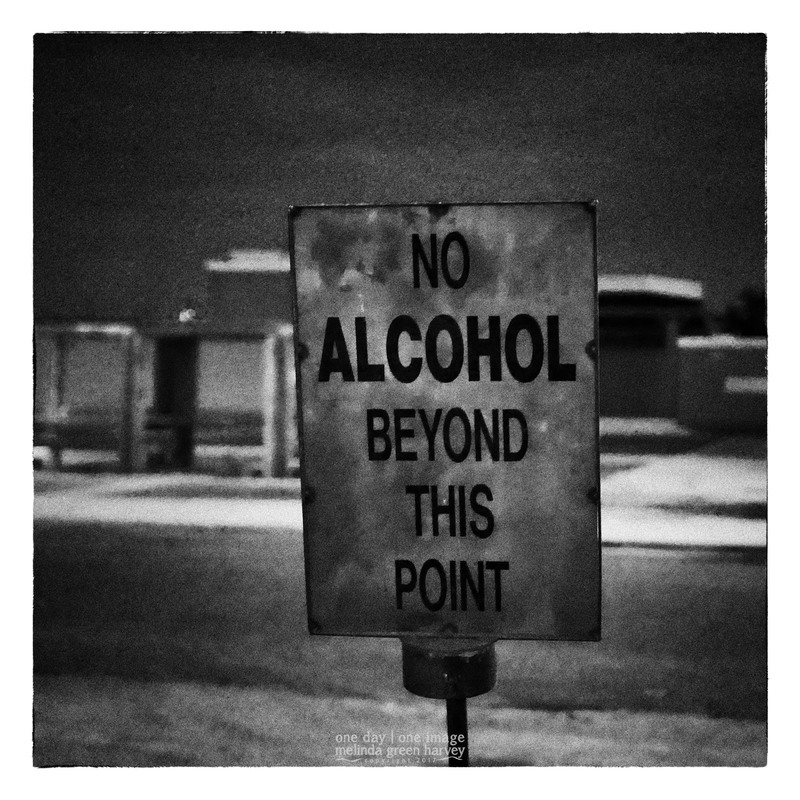 It’s an arts complex here in Lubbock – we have strict liquor laws, and if you’re serving booze at an event, no one is allowed to take it past the perimeter of the venue. And you know artists do what artists do, so if they can find the world’s ugliest sign, then of course that’s the one they’ll use!